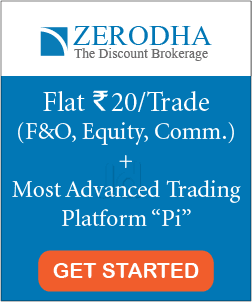 How to find complete list of stocks listed in the Indian stock market? There are over 5,500 stocks listed on Indian stock market. It’s really tough to study each one of them individually. 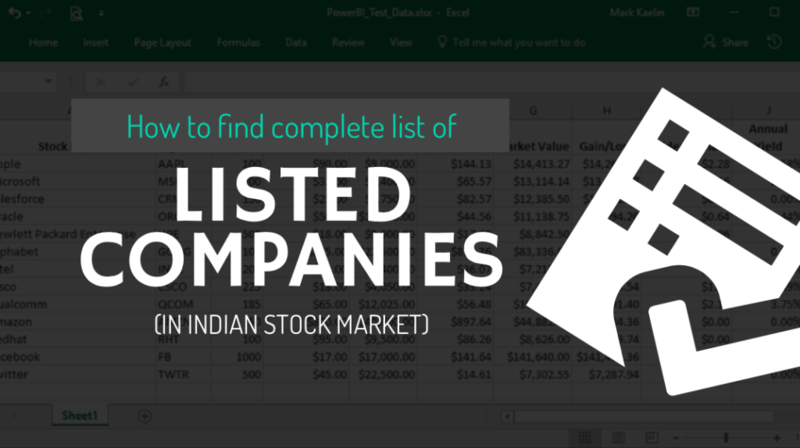 Wouldn’t it be easier if you can find an excel sheet with the complete list of stocks listed in Indian stock market and categorized by their industry? Well, you can download one. It’s pretty simple indeed. 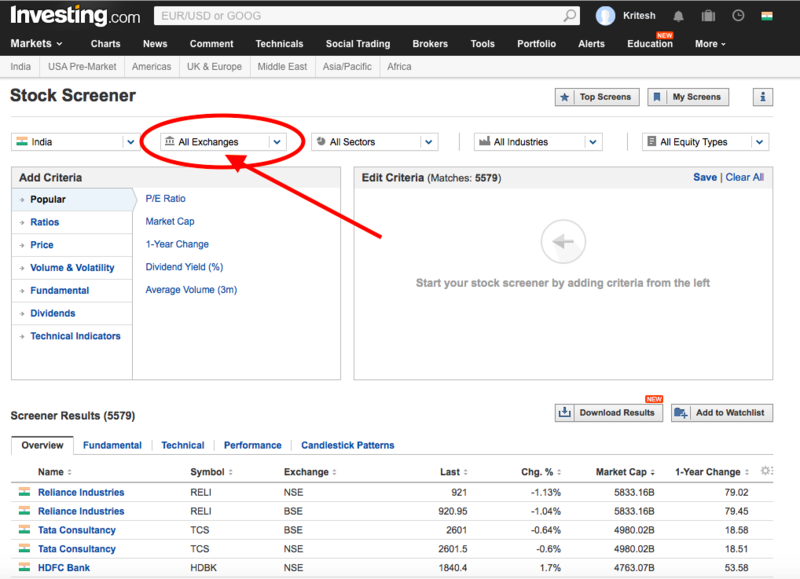 Moreover, you can download the complete list of stocks within 2 minutes. 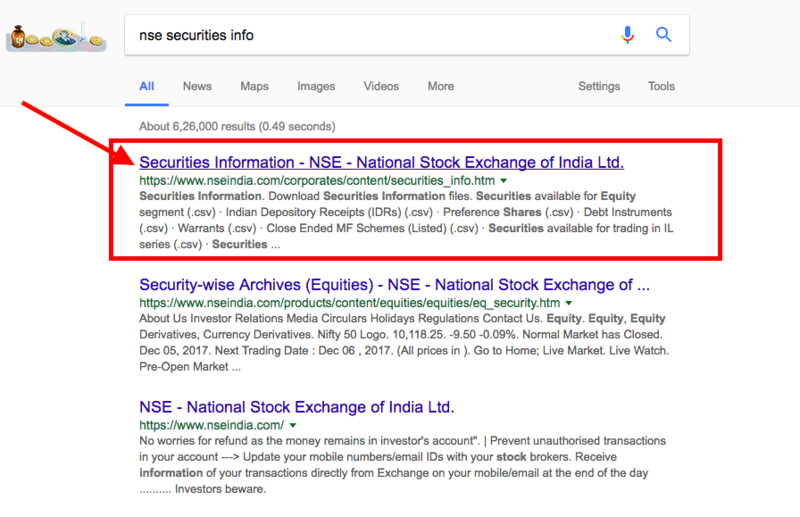 In this post, I’m going to explain how to find the complete list of stocks listed in the Indian stock market in an easy way. Further, there’s also a bonus in the last section of this post. So make sure that you read this post until the very end so that you do not miss it. Let’s get started. 1. 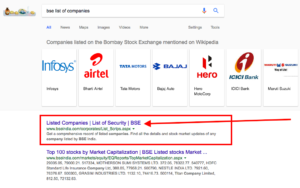 How to download complete list of companies listed on BSE? 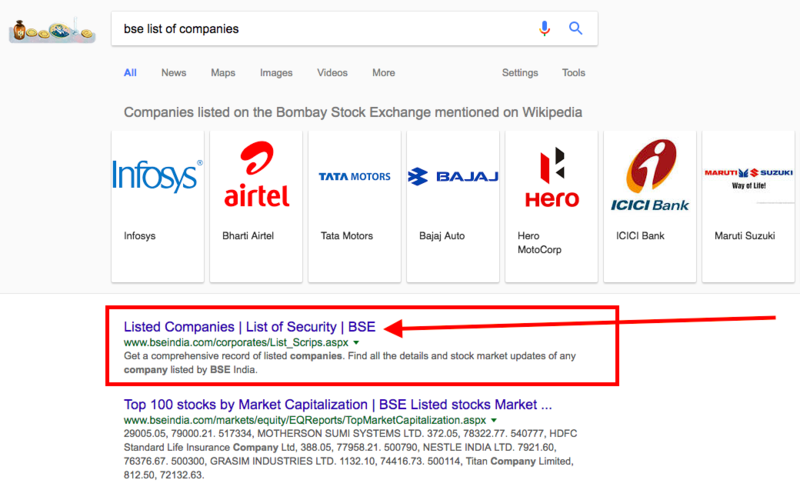 You can download the complete list of stocks listed on the Bombay stock exchange from it’s official website- BSE India http://www.bseindia.com. 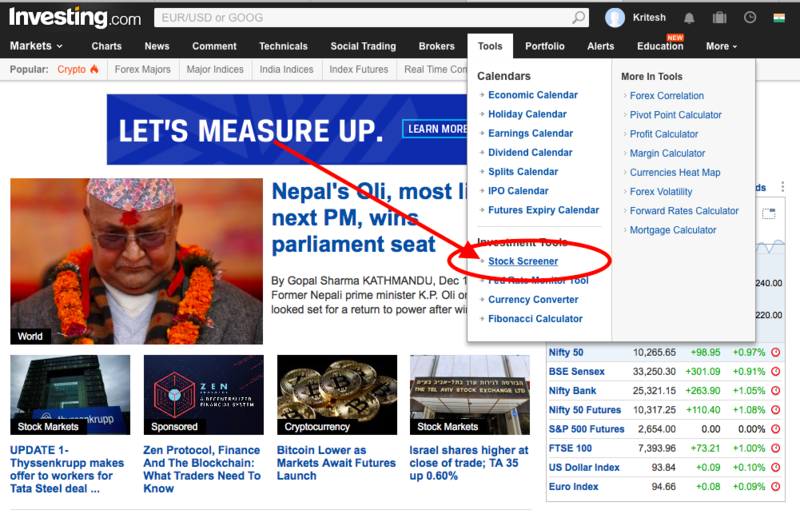 All the listed companies on BSE are shown on its website. 2. Here is the BSE India page for the list of securities. 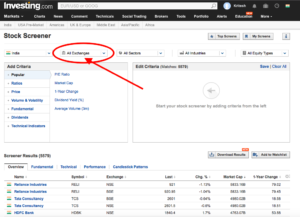 On this page, select ‘equity’ in the segment and ‘active’ as status. Active status shows the list of companies which are active in the market. Further, do not change rest of the options. Finally, click ‘submit’. You can download the excel sheet of the complete list of stocks by clicking on the ‘excel’ link on the right corner as shown below. 3. The excel sheet will be downloaded by clicking on the link as shown above. Note: The above excel sheet will contain a column of ‘GROUP’ with types A, B, T, XT, P etc. These are the group types of different companies as per BSE. You can read more about it here. That’s all. 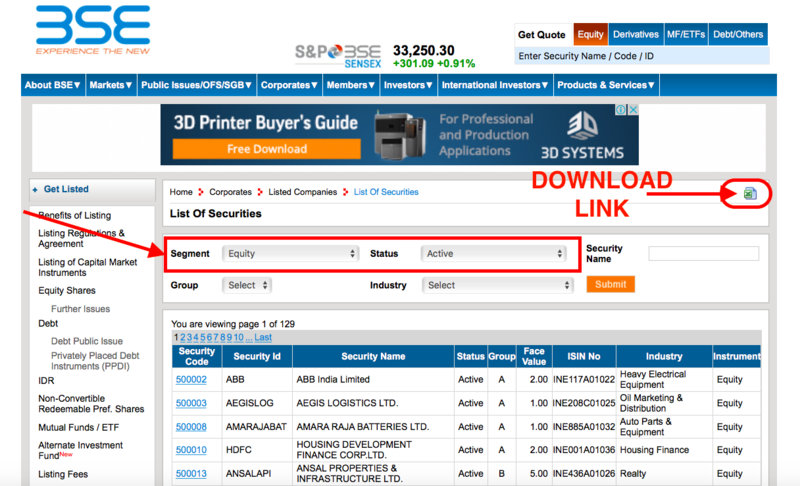 This is how simple it is to download the complete list of stocks listed on Bombay stock exchange (BSE). 2. 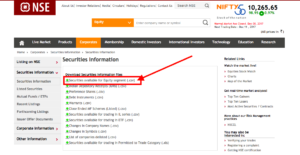 How to download the complete list of stocks listed on NSE? 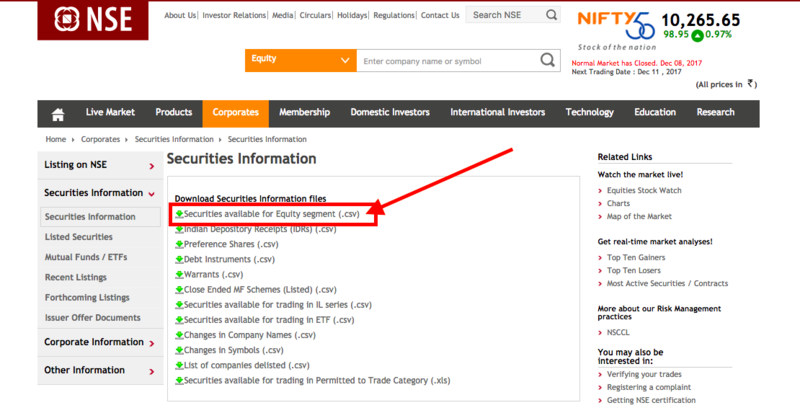 Here is exactly how you can download the complete list of companies listed on NSE:. 1. 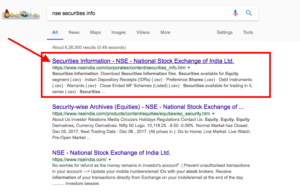 Search ‘NSE security info’ on google and click on the first link with the title ‘Securities information -NSE- National stock exchange of India Ltd’. 2. Open the link. 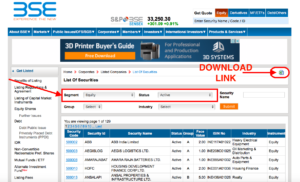 Next, click on ‘Securities available for equity segment (.csv)‘ to download the complete list. 3. A CSV file will be downloaded by clicking on the link. This is exactly how you can download the complete list of companies listed on the national stock exchange. You can also get the complete list of stocks listed in the Indian stock market using INVESTING website. 2. Select ‘TOOLS’ on the menu bar and click on ‘stock screener’. 3. Select the exchange (NSE or BSE) to get the list of the companies on either of the exchange. Select ‘All exchange’ if you want the complete list of both the exchanges. 4. Further, you can also apply different filters to select stocks based on different criteria like price, market capitalization, ratios etc on investing website. 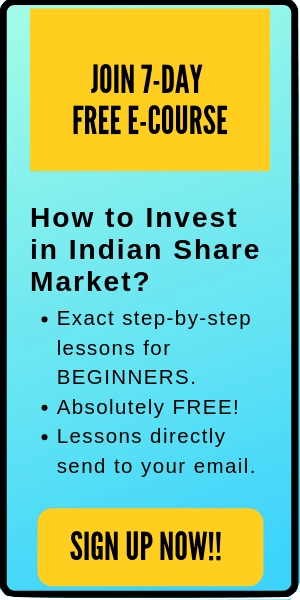 This is how you use INVESTING website to get the list of the companies trading on BSE or NSE. You can easily download the complete list of the companies listed on Indian stock exchange using the official website of BSE & NSE. You can also get the same data using INVESTING website. 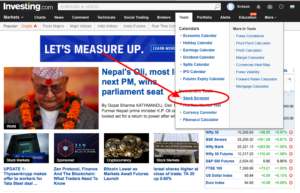 In addition, there are few other websites also like Money control, screener etc where you can find the complete list of stocks listed in the Indian stock market. However, the easiest place to find the complete list is described in this post. That’s all. I hope this post is useful to the readers. If you have any question, feel free to comment below.